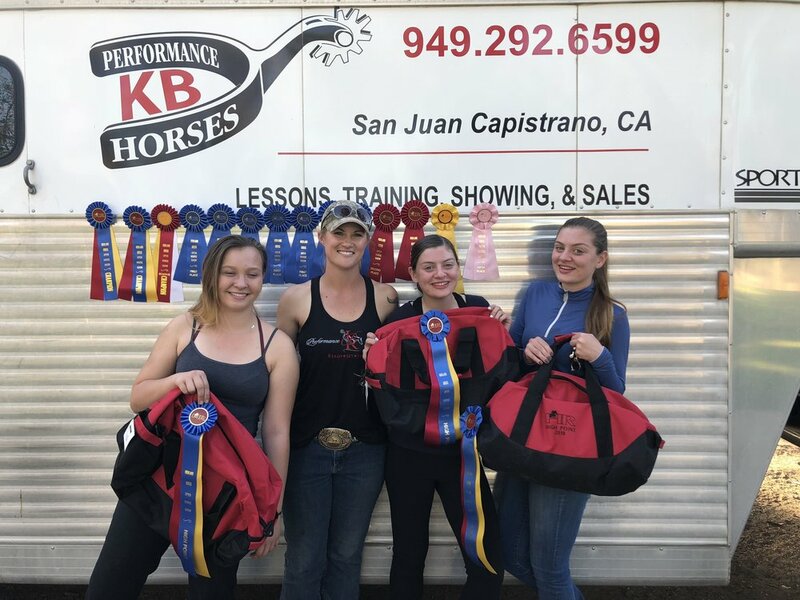 Team KBPH did amazing at our first Highland Riders Show Circuit Horse Show on Sunday February 4th. ALL the girls left with overall highpoint in their divisions! Liana Davidson participated in her first horse show ever on Bridled AKA Jimmy. They left with Highpoint Champions in the 11 & Over Western division. They left with 1st place in the 11 & Over W/J Western Pleasure, 1st place in the 11 & Over W/J Horsemanship, 1st place in Open Western Pleasure W/J, 2nd place in 11 & Over W/J Showmanship, and 7th place in Open W/J trail. Liana had fun and even wants to do I.E.L. for the 2018/19 season!! Ellie Bowmer rode 4 year old Notice Im Packin AKA Kimber and they left with the High Point Champion in the 16 & Over English division. 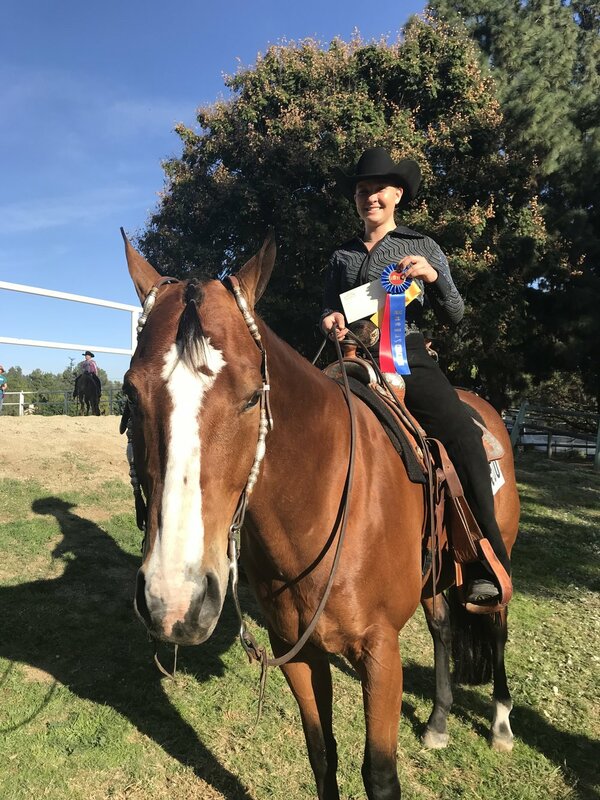 They got 1st place in 16 & Over Hunter Under Saddle, 2nd place in 16 & Over Hunt Seat Equitation, 2nd place in Open Hunt Seat Equitation Championship, and 3rd in Open Hunt Seat Equitation Championship. Ellie Borrowed her sister's horse for the english and only rode her a week before the show, they did fantastic!! Ellie will be doing Palomino World and Pinto World on her other horse Skye Blue Magic. Kayla Bowmer also rode 4 year old Notice Im Packin AKA Kimber and left with Highpoint Champion in the 16 & Over Western division. They placed 1st in Showmanship 16 & Over, 1st in Open Open Trail, 1st in Open Horsemanship Championship, 1st in 16 & Over Western Pleasure, and 5th in Open Western Pleasure Championship. Kayla and Kimber plan on showing a Pinto World this year! I am so proud of all my riders and just as proud of our horses for being amazing. 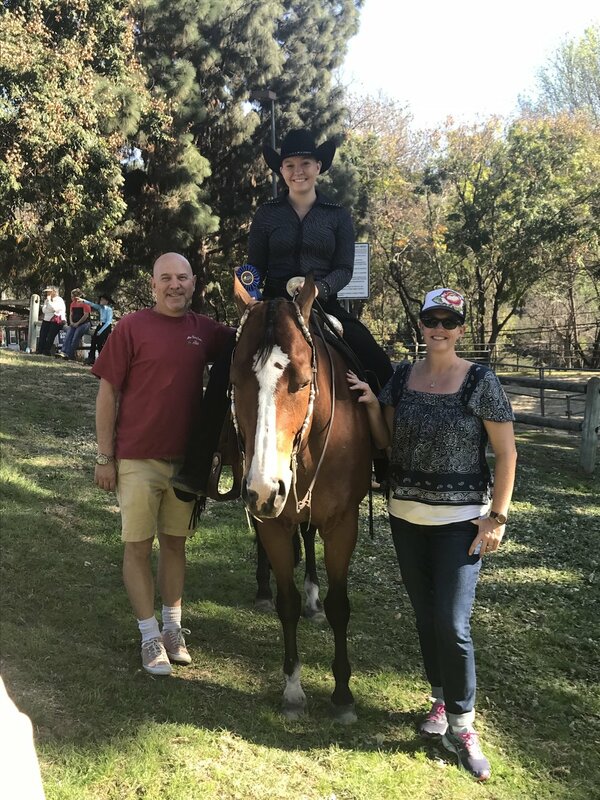 Special thanks to Liz PItz, Carina and Bella Bullard, my Husband Trey Mcquaig and my parents Laurie and Kent for all being horse show helpers and supporters! You guys make the show so much more fun and easy, and also make us feel so special. Thank you team! !